"These Pickups are my sound from studio to stage. EVERYTHING I NEED!!! 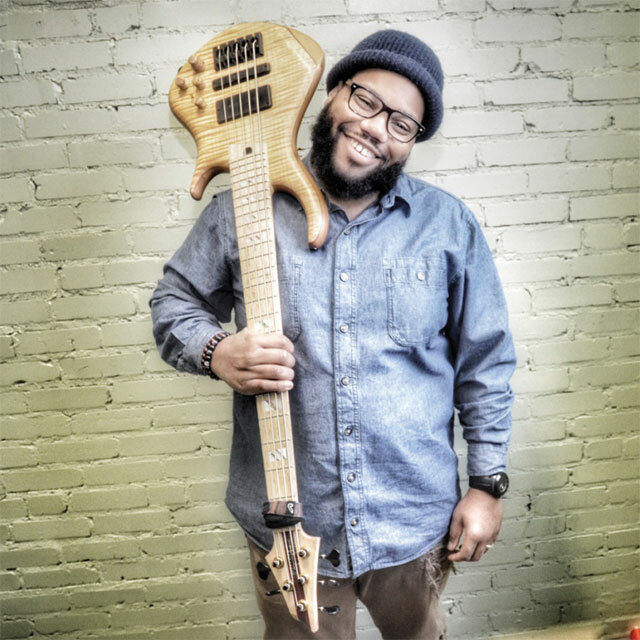 Bartolini My Only Choice"
Musician Charles “Clef” Lundy is the epitome of the 21st Century Musician and Singer. Eclectic in all things music and ministry, his style is recognizable before he plays or sings anything. As a self trained musician for over 20 years, Charles Lundy captures the essence of the worshipper’s heart. Not only does he do these things for the love of music, he does them more important for his love of Christ. Charles Lundy has been afforded great opportunity to perform with countless gospel artists nationwide and abroad. Charles is currently the Musical Director at Triumph Baptist Church. His studio work is extensive with work at Breed Studio where he has been a Manager, Engineer, Producer and session musician. Clef believes in sharing his gift. He will take time to teach and mentor all who desire to learn and grow. He has participated in several music workshops in many states across America. Musicians and Christians watch him in sheer amazement as he flows in the anointing and shares the dynamic gift GOD has given him. Charles Lundy, a musician, a mentor, a psalmist who is building the Kingdom through melodious sound.